How many restaurants bring you a one-of-a-kind dining experience as you enjoy a sumptuous buffet right at the foot of the waterfalls? 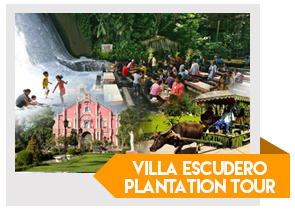 Villa Escudero offers just that! No shoes, no shirt? No problem. Let the the clear spring waters of the Labasin Falls flow through your feet as you savor your meal served to you right on a handmade bamboo table. Visit their museum, watch their cultural show and ride a carabao cart while being serenaded by the local entertainers. This is a Filipino experience that will very easily become a memorable one! This tour is open for all ages. We highly recommend a private tour set-up to be able to maximize the package inclusions with a minimum of 4 participants. 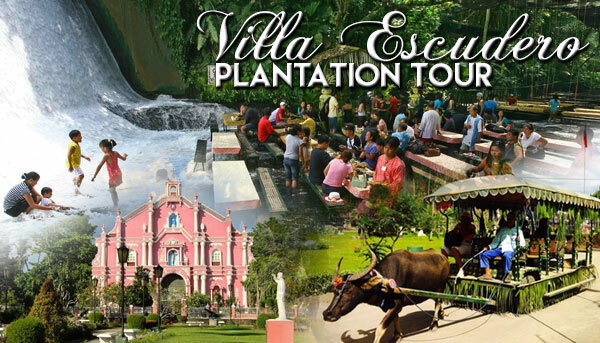 Villa Escudero is located at San Pablo, Quezon Province (southern region beneath Metro Manila). To get here, it will take you 2-3 hrs from Manila/Makati. We recommend you to reserve 1 whole day for this day tour.